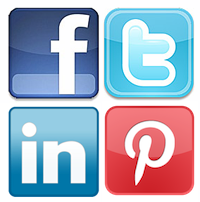 Prospect Factory – On which social media platform can you find your target audience? The first social media networks emerged about two decades ago, and ever since it has continued to evolve and offer consumers new and meaningful ways to engage with people, brands, and events that matter to them. Social media is still growing quickly and it has rapidly integrated itself into almost every aspect of both our personal and professional life. According to certain research, the number of global internet users that regularly manage their profile(s) increased from 36 to 59% by the end of 2011. Moreover, the number of social media profiles is over 2.8 billion and it represents about half of all internet users worldwide. Let’s try to find out more about the more specific demographics of social networks. According to research done by Google, more than half of the users of social media (not only including the big ones like Facebook and Twitter, but also the smaller ones like Tumblr and Yelp), is between 25 and 44 years old. When we look at the individual sites in this survey, however, there are some differences. As most businesses tend to use the big social networks, we will limit ourselves to Facebook, Twitter, LinkedIn and Pinterest. Facebook – with about 845 million active Facebook users, this social network is definitely the biggest. What about its user demographics? Online MBA found that the biggest group (46%) of users consists of people from 45 years or older, and the group aged 35-44 years old is the second largest group with 22% of total users. The large majority (57%) of Facebook users has a Bachelor’s or Graduate Degree, and the smallest group (9%) has less than a HS Diploma. Twitter – the user group of Twitter includes 127 million active users, and that makes this social network a good second best. Although every age group is represented equally on the social network, just like on Facebook the group of users with a Bachelor’s or Graduate Degree is in the majority (with 59% of the total number of Twitter users). LinkedIn – this professional social network counts 150 million registered users, without a difference between the number of male users and female users. LinkedIn is mostly used by people of 45 years and older (49%) and people in the age between 35 and 44 (32%), and their education is rather high with 50% of the people owning a Bachelor’s or Graduate Degree, and 37% some college education. Pinterest – whereas the difference between male and female users on Facebook and Twitter is rather small (47/43 on Facebook and 59/41 on Twitter), on Pinterest about 82% is female and only 18% is male. The social network’s 21 million unique visitors differ much in age, seen that all age groups are represented evenly. Pinterest appears to be the ‘smartest’ network with 61% of the total number of users having a Bachelor’s or Graduate Degree, and 25% having some college education. As it turns out the demographics of the different social networks have much in common, some exceptions taken into account, it is rather hard to say on which social media platform you will find your target audience. However, we will go into more detail on finding and engaging your target audience in our next blog.